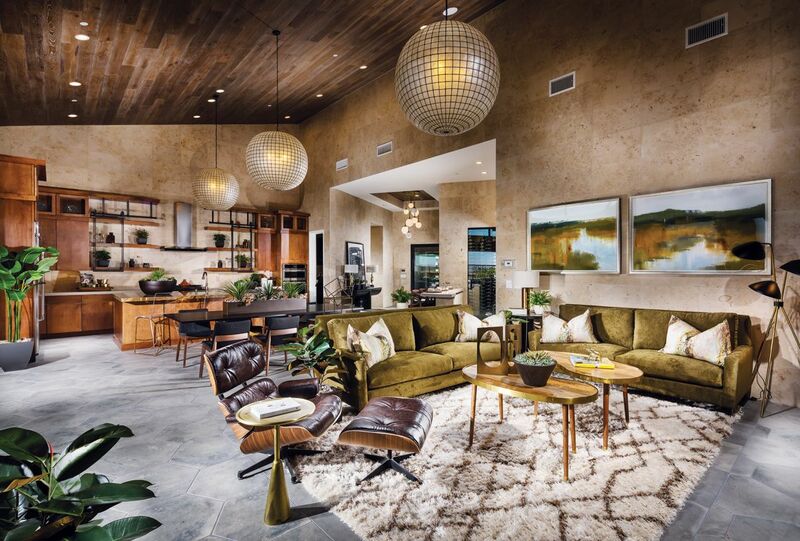 Overlook at Mesa Ridge is a community of 73 single-story homes showcasing modern architecture with exceptional interior designs ranging from 3,012-3,505 sq. ft. including 3-4 bedrooms, 3.5-4.5 bathrooms, open floor plans, 10-16 ceilings, and unique indoor/outdoor living spaces. Artfully built along the rugged ridge line of the Spring Mountains, Overlook at Mesa Ridge is the perfect place to call home.